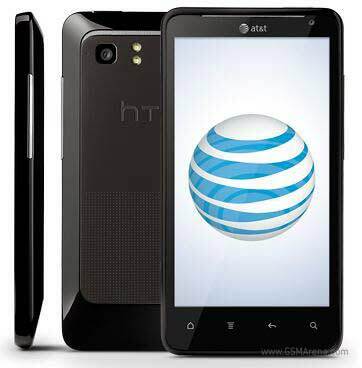 AT&T announced the HTC Vivid, first 4G LTE enabled to mark the newly-founded LTE network of the carrier. At the same time they also announced the Samsung Galaxy S II Skyrocket, which is 4G LTE enable too. HTC Vivid will arrive in AT&T company-owned stores and online November 6. Onto the HTC Vivid running Gingerbread 2.3.5 as. It has a 4.5-inch display having qHD resolution of 540x960. Other key specs include a 1.2GHz processor, 8MP rear camera and 16GB on-board storage with microSD card support. The HTC Vivid will arrive in AT&T company-owned retail stores and online Nov. 6 for $199.99 with a two-year commitment. HTC Vivid will be offered with two data plans for you to choose from. For $15 a month you can get 200MB of data or if that's not enough, you can also get 2GB of $25 a month. An additional 1 GB of data is $10. Customers who want to use their device as a mobile hotspot can sign up for DataPro 4GB for $45 a month, which lets you tether or share your data connection across multiple devices. Check out AT&T website to know more about HTC Vivid.